and Sri Saraswati Maha Mantra during Sri Saraswati Yajnam. 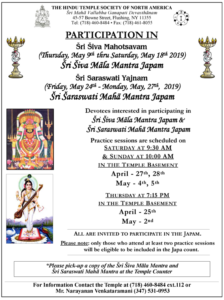 All are invited to participate. 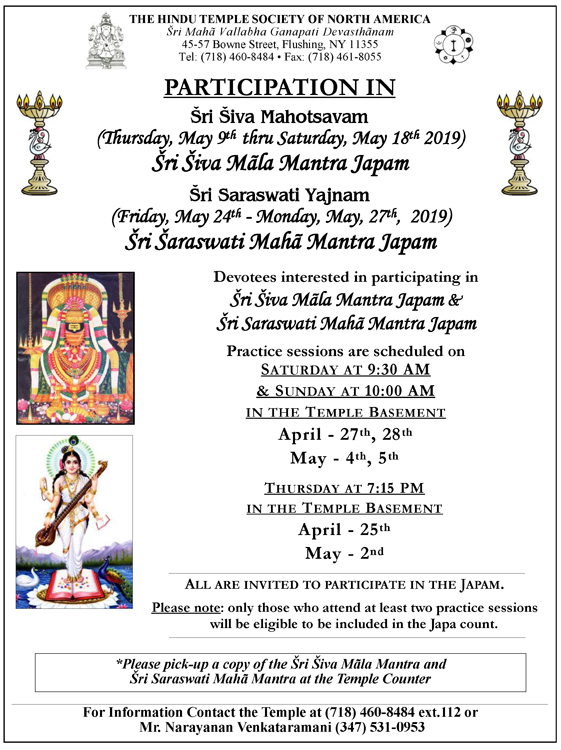 Only those who attend two mandatory rehearsals will be able to be included in the Japa count.